I backed slowly out of the driveway, started heading down the winding street and quickly noticed a caterpillar lounging on my windshield. My first temptation was to turn on the windshield wipers and watch him get smeared across the glass one way and then back the other way in a rhythmic, metronome motion. At a sustained 38 miles per hour covering a distance of 400 yards the caterpillar was finally whisked away like a tornado throws a mobile home to the curb. I will give the caterpillar credit. His little legs, all six of them (true legs) along with his prolegs held on longer than I thought. Soon enough though the wind was too strong and away he went. Ever feel like a caterpillar holding on with all your might to the smooth glassy surface of reality? Your phalanges are pressed like a suction cup on the windshield of life and the driver of the situation you find yourself in is intent on putting the pedal to the metal, accelerating to a speed where it is impossible to hold on. Is there is a difference between us and the caterpillar? The glassy surface of life cannot be held on to. It’s a grand illusion to think that we can physically, mentally, emotionally or spiritually hold on to this slippery, sloping surface. We cannot hold on, but fear not, for it is God who holds on to us! You will be exhausted to the point where your grip on life is gone! To my hand and me…HOLD ON!!! Today, I repost the blog on her 28th birthday with an updated title…”She’s My Daughter…Still” – nothing has changed in our relationship “status” in the last year. Those of you who pray for her and her sister, Molly-Catherine, I say, “Thank you!” My prayer for reconciliation is constant and the lack of communication and the chance for reconciliation is a continued void in my heart and life…May God’s name be praised! She weighed 8 pounds and 10 ounces. She got married on June 4, 2011. She is married to a youth minister at the McLean Bible Church in Virginia named Kyle Cox. 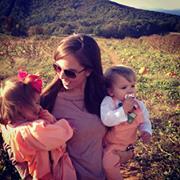 She is a mom to twins – Parker (boy) and Peyton Leigh (girl) who are about 2 years and 7 months old. She has the most beautiful brown eyes. She has a brilliant smile. She has the thickest flowing hair. She and I haven’t seen each other in a long time. She and I haven’t really had a conversation since April 15, 1998. Twenty eight years ago, I was right there when Morgan Goodson Dendy uttered her first cry. Twenty eight years ago I helped place that little pink beanie on her cone shaped head. Twenty eight years ago I was 23 years old and a second year seminary student. Along the way something happened that I never thought would ever happen to someone like me. I left the house on April 15, 1998 and Morgan and her younger sister Molly-Catherine have chosen not to speak to me ever since. 16 years, six months and one week is a long time. I really wonder if they will ever speak to me. In the opening paragraph of this blog I wrote just about everything I know about Morgan, who changed her name when she turned 18 to Morgan Leigh Goodson. Her younger sister Molly-Catherine followed suit two years later changing her last name to Goodson as well. I don’t know what Morgan likes to snack on. I don’t know what Morgan’s favorite TV show is. I don’t know what Morgan likes to do. I don’t know what kind of music Morgan likes to listen to. I don’t know what kind of car Morgan drives. I don’t know her husband Kyle Cox. I have never had the privilege of meeting him. I don’t know what it was like to walk Morgan down the aisle on her wedding day. I wasn’t invited. Is this the headline of your life? Is is the headline of someone you know and love? Could it have been the headline of your life? The alarm went off at 5:00 a.m. in order for me to attend a Men’s Bible study that started at 6:15. I arrived with Bible in hand at 6:12. Am I the only one who takes a deep breath before entering a room where you know absolutely no one? Deep breath taken, I peeked in the room and there were about 20 round tables with about half of them semi-filled with men already engaged in conversation. The epic question of the day was racing through my mind and it was only 6:12 in the morning. I decided upon a table that had two men sitting a chair apart from one another. I walked up, introduced myself and sat down. Within a couple of minutes two other gentlemen sidled up to the table. It was plain to see that all four men knew each other from previous interactions. In reality, I was the outsider. The Bible Study began with a prayer and then the speaker for the day began talking about dysfunctions and dreams. The dysfunctional family he was using as a guide for our discussion was Jacob and his sons, specifically Joseph. The sibling rivalry was thicker than molasses. The brothers sold Joseph into slavery and convinced their dad that Joseph had been torn to pieces by a wild animal. With the lecture over the attention of the five gentlemen at my table was turned inward toward one another. We took a minute to introduce ourselves and talk a little bit about who we are, our families and what we did for a living. The men that surrounded me were obviously good, solid, successful and stable. We took the appropriate time answering the first question in our study guide. By all intents and purposes it seemed as though the men at my table were going to get out of there unscathed as our conversation was appropriately guarded in nature and vanilla in flavor. If the first question invoked “vanilla”, the second question invited Habenero, Jalapeno and their sister Chili! One by one each man shared how their father had been or currently suffered from alcoholism and the effect that that dysfunction had on their families. We all chuckled, put our fists in the middle of the table and gave each other a loving, caring and knowing fist pump to the collective dysfunction we had all faced. Here’s the fascinating outcome from this group of men who accepted me so warmly and graciously. Each of our dysfunctions did not derail the dream. If anything the dysfunctions sharpened the dream and brought the dream into clearer focus. The speaker of our group brought to light one important factor in pursuing our dreams. Don’t be that part of your body! You will never be able to pursue your dreams if you are constantly looking backwards. Don’t let the dysfunction derail the dreams! Don’t let the dysfunction define you or your dreams! Don’t let the dysfunction derail you from delightfully pursuing the dreams God has in store for you! PS – Thank you Lord for leading me to a table of fellow dreamers! Running on a nature type trail, I noticed that I was missing out on some of the distinct sounds of nature. The constant drone of traffic from I-45 which was less than 2 miles away was drowning out the serene, peaceful setting in which I found myself immersed. This fascinating sound that I stumbled upon was the “white noise” of traffic. 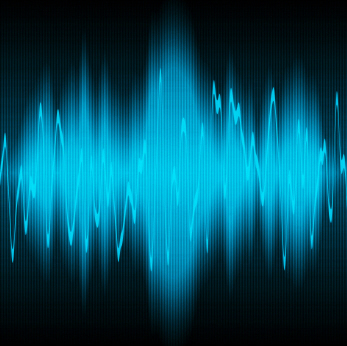 What happens when the “white noise” obliterates sounds that we need to hear? What is the “white noise” of your life? Is it keeping up with the Jones’? Are there voices in your life that drone on and on in such a way that they obliterate the Voice of God? What if the “white noise” of your life was grounded in God’s word? Your mistakes are not futile or fatal…You are forgiven! It’s an annual rite of passage that takes place at the Dendy household year in and year out. The only difference for this year was that we had an extra child in our midst engaging in the October ritual of carving pumpkins. We had three itty bitty pumpkins for Faith, Joshua and Chase (our 4 year old friend for the weekend). We had one ginormous pumpkin for the whole family. 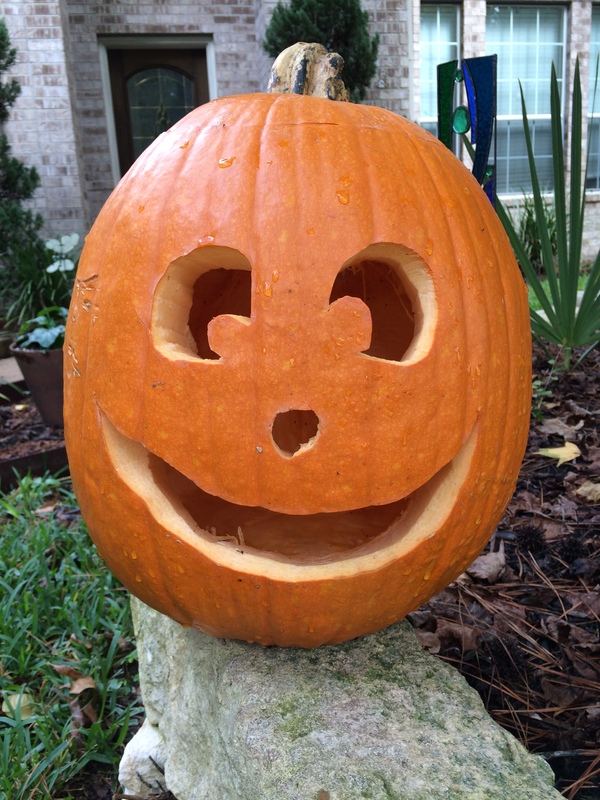 I grabbed the extra sharp knife and plunged it into the skull of the gargantuan pumpkin and started carving away. Little Chase pulled on the stem of the pumpkin and off came Mr. Pumpkin’s top along with the stringy brains and seeds reluctantly attached. In the last few years my response drastically changed. I would hear their response about wanting to get their life straight before they came back or even come for the first time. More times than not, I never saw the person in church ever again. Where do we get this idea that we have to “get the guts out” before the light can come in and shine? The beauty of the gospel, as I read it, is that Jesus, the Light, comes into our world, into our neighborhood and into our lives while the stringy, sticky guts and seeds are still in there. The Light of Jesus shines through the guts, the strings and the seeds. And I don’t know about you, but that makes this big ol Pumpkin head smile from ear to ear!! There is also great joy in knowing that it is Jesus who removes the sticky, stringy seeds and smooths out the inside so that The Light can shine brighter. Whatever you do, don’t fall for this idea that Jesus only comes into the lives of those who don’t have the guts! It’s amazing the veritable plethora of things God can show you on a simple four mile run along a culvert. For today, let’s focus on what I ran across in the middle of the culvert after a hearty rain storm the day before. 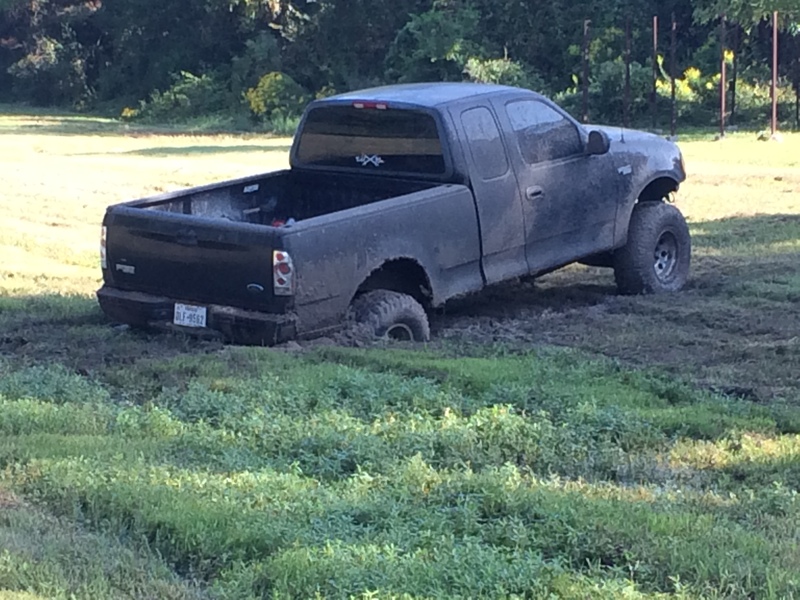 This four wheel drive, 4X4 Ford wannabe monster truck got stuck, got BOGGED DOWN in the mud! There was no one in the driver’s seat. There was no one nearby to claim the truck. The truck was abandoned…at least for now. Have you ever been BOGGED DOWN? Haven’t we all been bogged down? Some of us are bogged down by depression and other mental health maladies.. Some of us are bogged down by a dangerous driver recklessly driving through and past all the warning signs while we sit idly by in the passenger seat. Watch out for the warning signs. Do not only watch out for them, but obey them! Turn and go the other way. Several references in scripture mention “running” as fast as you can in the opposite direction. What is it about our human nature that we live by the motto of “Rules are made to be broken?” Surrender that independent, rebellious nature and become more dependent on following God. What might seem very counter intuitive, just sit tight and wait for the hand of God to come in and pull you out. As evidenced by the photo above, the more this driver spun his wheels the further he got bogged down. We may be so bogged down that the only way out is from a hand from up above that gently and yet firmly grabs a hold of us and lifts us to higher heights and a firmer foundation where we won’t get BOGGED DOWN! Even when we are BOGGED DOWN, the Lord delights in us! The very hand from above that gently pulls someone out of a bogged down situation might be yours! Have you ever run into a Fog Bank? 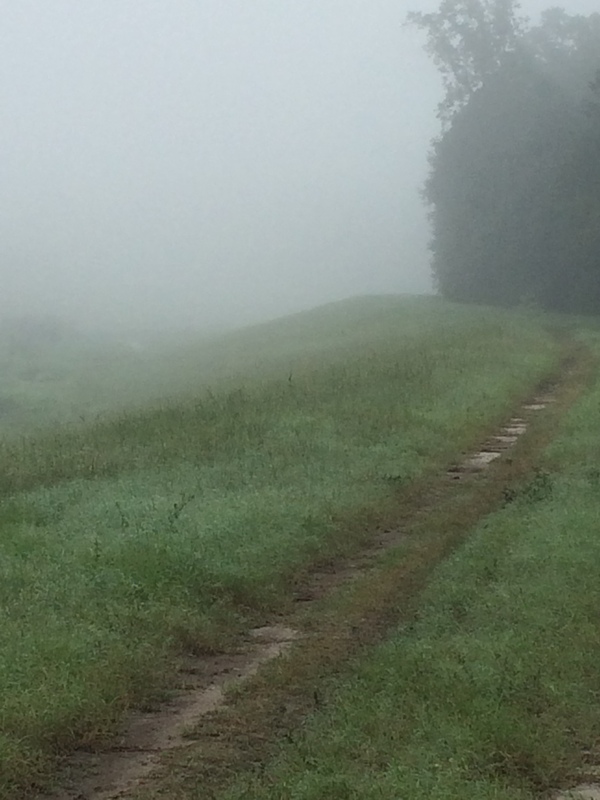 On my morning four mile run I came around the curve only to see a bank of fog in front of me. I have no doubt that for many of us the very sight of “The Fog Bank” stops us in our tracks. Oh, I hate how The Fog Bank hacks, haggles and hinders! This morning “The Fog Bank” stopped me long enough to take a picture. That is the only thing “The Fog Bank” succeeded in today. Once I ran into it, I could see perfectly fine. Sure the distance of my sight line was reduced. There is a great temptation within our world to have our lives mapped out days, months and years ahead with clear skies in the forecast! Approaching any Fog Banks lately? they will cease; as for knowledge, it will pass away. Now I know in part; then I shall know fully, even as I have been fully known. I have run two marathons in my lifetime. My first marathon took place on March 6, 2011. My last marathon took place on March 6, 2011. I have two close friends that ran the race of their life this past weekend. My 16 year old friend Jacob DeVries ran the Portland (Oregon) Marathon (26. 2 miles). Congratulations to you both for training, persevering, committing and running the race of a lifetime. From what I have heard, only 1% of Americans have ever run a marathon. Leisa ran the race with a friend of hers and with about 4 miles to go they came across a young man who serves the United States of America in the US Army. He was running a full marathon. Leisa was running the half-marathon. The soldier had run 22 miles. Leisa had run 9 miles. The soldier had never run this far before. Leisa had never run 13 miles before. That’s all my friend Leisa needed to hear for her amazing gift of “encouragement” to kick in to high gear. Gatorade was offered. Shot blocks shared (gummy blocks filled with calories and energy). Best of all, Leisa and her friend lifted this soldier from the proverbial pavement with their words of encouragement. For four miles all this soldier heard were loving, encouraging words of praise, hope and support. The three of them crossed the finish line exhausted and exhilarated. But, it is absolutely true that 100% of us run the race of life! What “Training Guide” do you follow? My “Training Guide” is God’s word – The Bible. It’s the only one I know. I have tried others and have quickly found myself lying in a ditch by the side of the trail. In regards to my “Training Guide” (The Bible) let me offer this observation I have gleaned over the years. It disturbs me that someone would give up his life for me. It disturbs me that I am loved unconditionally. I would rather earn God’s love and your love. It disturbs me that I am forgiven, over and over and over and over and over again and again and again. Ten years ago this past weekend I started serving the First Presbyterian Church of Klamath Falls, Oregon as their pastor. 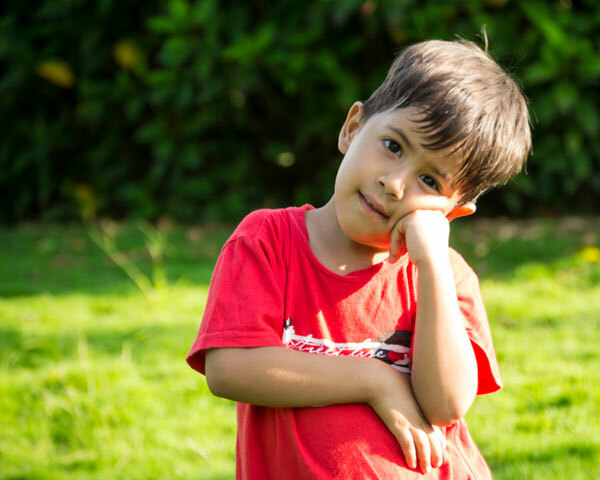 My friend Jacob DeVries was only 6 years old when he wandered in with his parents and grandparents. Fifty years ago this week a dear friend of mine was born into this world and the world has never been the same. Ten years ago today another friend of mine took her last drink of alcohol. She celebrates ten years of sobriety today!! We are all running the race! My race has had a number of twists and turns. There have been days I have wondered if I would make it. And then lo, and behold one of you comes running up beside me and offers me a “shot block” or a swig of Gatorade. My recovering alcoholic friend has had all sorts of obstacles to overcome. She wouldn’t have made it to ten years of sobriety without you. YOU ARE GOING TO MAKE IT!!!! You just might help a fellow runner make it a little further down the trail! Allow yourself to be encouraged by someone else today!